The number is 22 and no two are alike. Each one is unique and exquisitely designed to refresh and calm. Cloaked in historic photographs and enriched with modern conveniences, you might not want to go home. “European” and “Big City” — Both can be used to describe Sherman guest rooms. Fresh out of renovation, the rooms have never looked better. Bright colors, wooden floors, new baths, new everything! They define “boutique guest rooms." Ours are totally unique from each other or any other hotel rooms! Most importantly, you’ll love our firm mattresses allowing pleasant back support and deep sleep. The most sophisticated room in the building consists of a 260-sq. 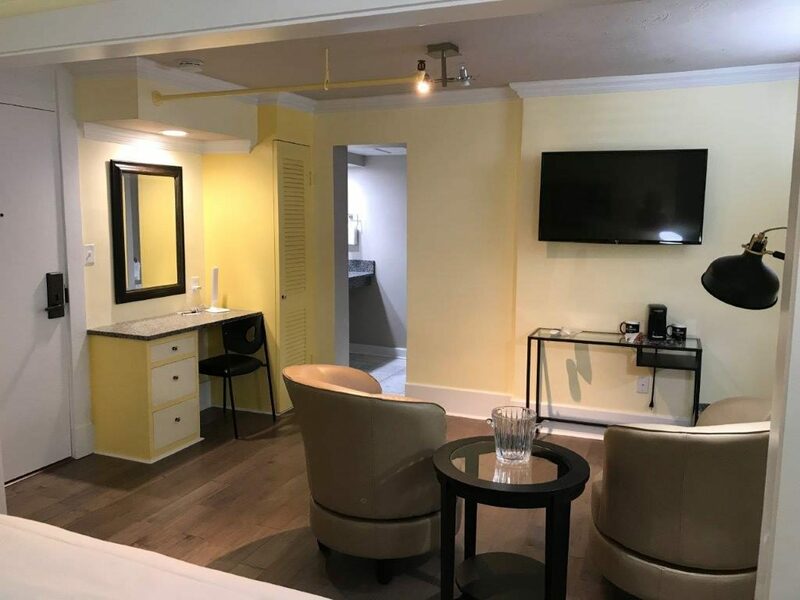 ft. living area with a device-friendly conference table ready, full-size sofa, lounge chairs and flat screen TV entertainment center, and a separate bedroom with it’s own flat screen TV. 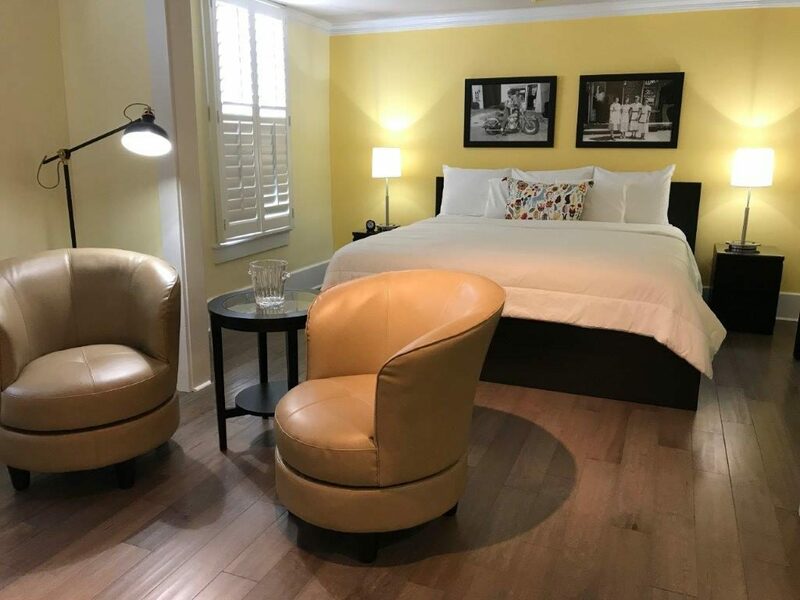 An eclectic room with a large wet bar, living area with sleeper sofa, a flat screen TV, parlor-style table and chairs, and a separate bedroom with it’s own flat screen TV comfortably sleeps 4 guests. A nice room if you plan to stay a little longer. There are two King Parlors in The Sherman that have attached sitting areas offering more room to move about and enjoy. One (240 sq. ft.) includes a stylish settee with 2 flat screen TVs for direct TV viewing from either the settee or while relaxing in our cozy bed. The other King Parlor (260 sq. ft.) has two soft lounge chairs.Both have separate bathrooms (watch the step up on one of them). These rooms are great for a weekend-getaway for couples looking for something a bit exotic. We think this room might have originally been very small two separate rooms at one time in it’s 167-year history. In the past, travelers and/or borders didn’t have the wardrobes we have today or anything close. They kept a few possessions in a trunk or small stand next to their bedsides. They often shared rooms with total strangers. Bathrooms were community for both men and women and you paid extra to have hot water prepared for you and your family. Thank goodness those times are past. Today, The Sherman Family Queen, a bit of an odd shape, includes two petite connect rooms. One contains a queen bed and the other a day bed with combined space of about 225 sq.ft. This room is ideal for a family with a single child or two people who want a little extra space. Some of the 10 Sherman king guest rooms in the hotel are up to 167 years old and were used by travelers generally for short, passing through, stays or as borders. Others are approximately 90 years old and have high ceilings and great views onto George St.
Back in early Sherman history, women typically had two or maybe three dresses at any one time. One or two for work and everyday use and a little nicer dress for church or special occasions. Men, likewise had a set or two of work clothes and a nice something or other for courting or going to church. Clothes were precious commodities and not nearly as abundant as today. We’ve added European style wardrobes (call “Schrank” in German) that will hold all your travel wear without problems. The Sherman Kings range in size from 148 to 292 sq.ft. with the average size about 200 sq.ft. 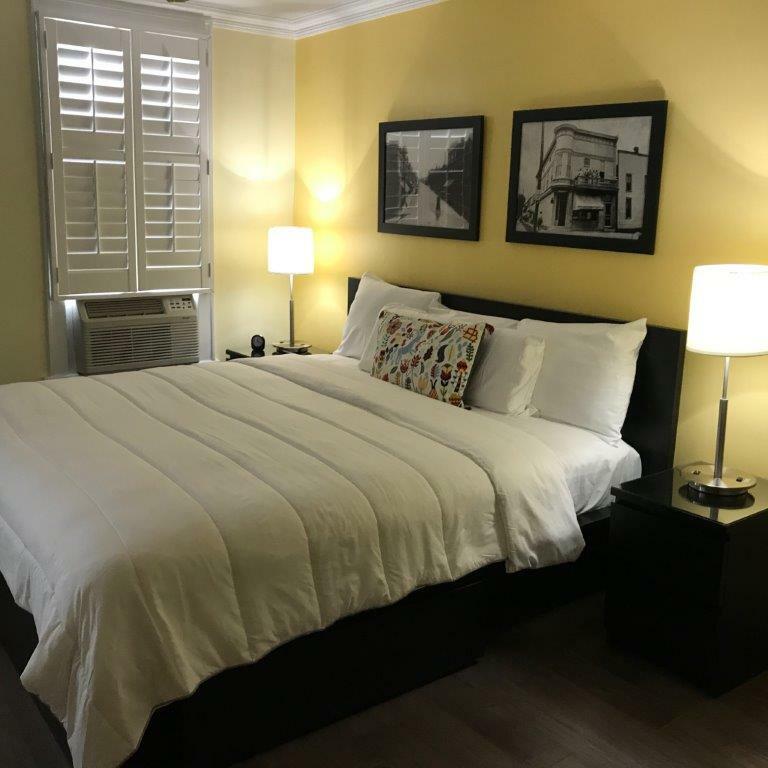 These lovely boutique rooms are ideal for 2 guests and anyone looking for something a little different from the “cookie-cutter” hotel rooms found elsewhere. 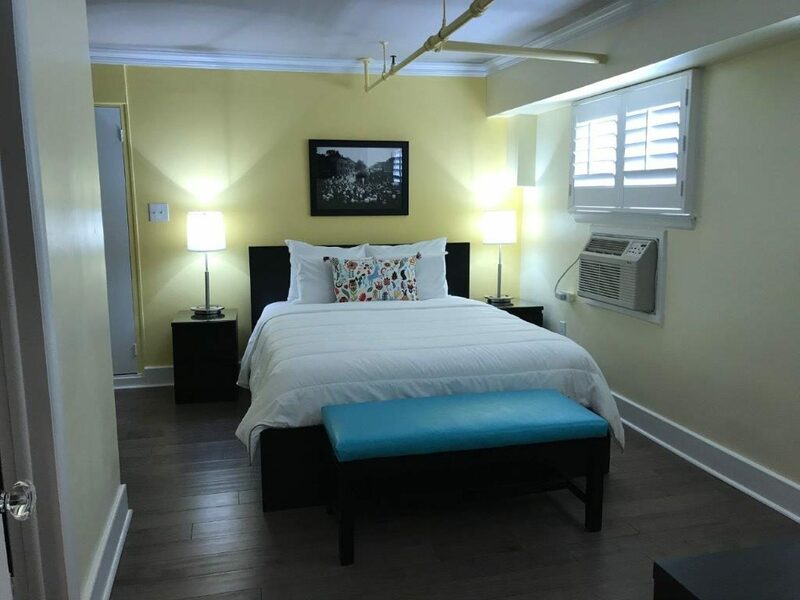 Our queen rooms range in size from 134 sq.ft. up to 160 sq. ft. There are five Sherman queens. Most are off the Biergarten offering direct access down to the Biergarten level through a set of stairs that were quite spooky when we first walked these stairs. Don’t worry, they are good now and the new installed windows around the entire property are air tight and good sound barriers. All Sherman guest rooms are fashioned with restored historical photos.We invite you during your stay to take a walk down the entire length of the meandering hallway to view many other old Sherman or Batesville photos. We will do anything in our power to ensure you have a wonderful and memorable stay at The Sherman. Guest services are open 24 hours, 7 days a week.